ACTA was largely drafted in secret between countries with the world's largest economies, with input from large copyright and trademark holders who stand to benefit from all this legislation at our expense. As more information about the terms of the agreement began to leak, we published Richard Stallman's "Firm, Simple Declaration Against ACTA" and accompanying essay. Since then, more than 4,700 of you have signed it. Thanks for your support! ... where there have been previous changes for the worse, lauding the status quo tends to legitimize them. ... To confront a further assault by presenting the status quo as ideal means we stop fighting to reverse them. It means that our adversaries need only propose a further affront to our rights to gain our acceptance of their last affront. Instead of making the status quo our ideal, we should demand positive changes to recover freedoms already lost. If you haven't already, please sign the declaration. The USTR may check to verify the number of signatures we mentioned in our letter. It would be great if we have even more when that happens! Share this call to action with your friends, and on social sites. We need all the help we can get. If you're a US citizen, you can write to the USTR as well. Comments are due by 5:00 PM Eastern Time on February 15. Follow the USTR's instructions to submit your comments. Please send a copy of your letter to us at acta-comments@fsf.org, too, so we can keep track of the response. We've included a brief sample letter below to help you get started. Of course, it's best if you write your own letter: unique responses will receive more attention from the USTR. Use this sample as inspiration to help structure your own thoughts. ACTA threatens to create major legal obstacles to free software throughout the world. Please join us by expressing your opposition! I am writing to urge the United States not to sign ACTA. The agreement would impose unethically strict extensions to copyright law in other countries, and increased criminal penalties for infringement here. It mandates a number of enforcement mechanisms that unjustly benefit copyright and trademark holders at the expense of individual liberties. 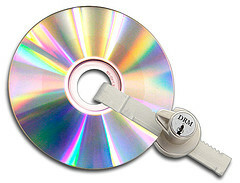 It would also create new obstacles to repealing problematic US laws like the Digital Millennium Copyright Act (DMCA). Now that computers are available to many, it's easier than ever for people to share information and cultural works with each other. Our laws should allow and encourage them to do so. We stand to benefit from less enforcement of copyright and trademark laws—not more. ACTA is a step in the wrong direction. No country should sign it.